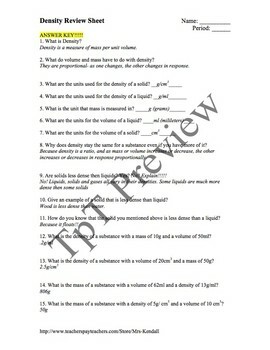 We all know how difficult teaching tensity can be- almost as hard as it is for teens to grasp!! I designed this review sheet to get my students really thinking about the main concepts of density and what it means. It also includes graphing- which really helps many of my learners!. 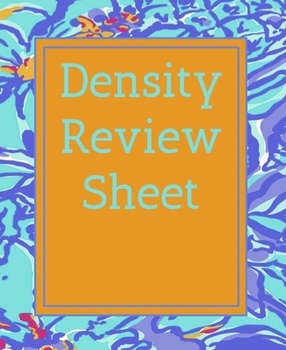 This density review sheet has been helping my students review concepts before the 'big test' on scientific method and density for the last 5 years and always seems to help them get over the "hump".